Here's your chance to kayak down the Hudson River—from Albany to Poughkeepsie—in a guided, camping excursion. There is nothing quite like traveling on the Hudson River. 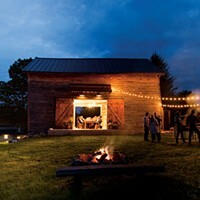 Even if you've driven, walked, hiked, and biked the region for years, touring by kayak offers a new perspective—secret nooks, sweeping mountain vistas, and direct contact with the waterway that defines the Hudson Valley. 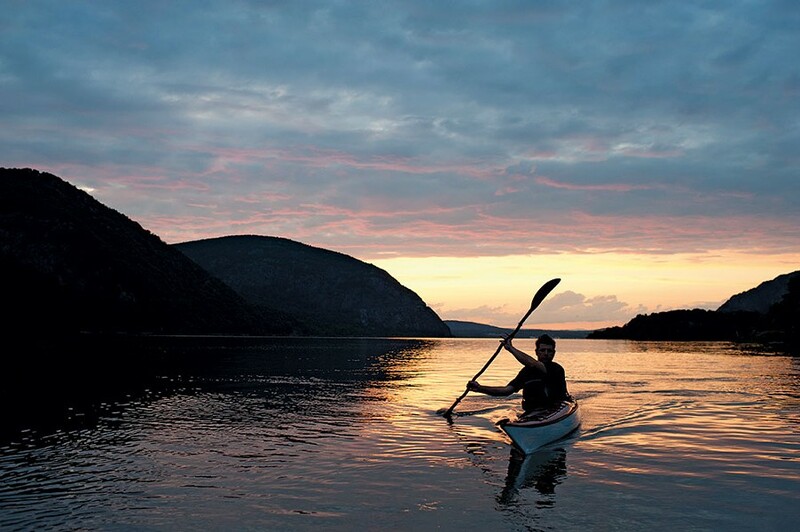 From August 1-5, you'll have a rare opportunity to get to know the Hudson River in style with the Hudson River Paddle, sponsored by Hudson River Valley Greenway. This 75-mile kayaking and camping guided excursion will wend its way down from Albany to Poughkeepsie. The trip is fully supported, with catered meals, tent set-up, and gear provided—think of it as the glamping of paddling. The Hudson River Greenway Water Trail is a 256-mile navigable waterway extending from northern Saratoga County in the Adirondack Park and northern Washington County at the head of Lake Champlain, to Battery Park in Manhattan. With over 100 access sites along the Hudson River, the trail is easily accessible for local and visiting paddlers of all levels. For nearly a decade, from 2001 to 2010, kayakers converged on our region every summer for the Great Hudson River Paddle, an intense 10-day paddling and camping adventure, sponsored by Hudson River Valley Greenway (HRVG). The event brought paddlers from around the world and shined a spotlight on the region's natural beauty. After a multiyear hiatus, in 2017, HRVG was awarded a grant to relaunch the Paddle. Over the next three years, the organization will partner with Hudson River Expeditions, a Cold Spring-based firm, to offer a rejuvenated Paddle experience. 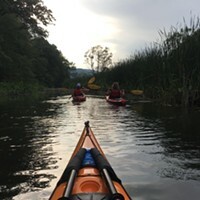 "With renewed energy and a great, experienced partner, the Hudson River Paddle should prove once again to a memory-making adventure for all participants," says Scott Keller, Acting Executive Director for HRVG. A couple major changes have been made to the Paddle excursion. First off—it's all-inclusive. That means you can leave your bulky kit, equipment, and headaches at home. Hudson River Expeditions will provide trained guides, kayaking equipment, tents, cots, and even camping furniture for a fun, easy experience. After you get off the water every day, meals will be prepared for you by two local chefs from the Beacon-based restaurant Stock Up. "The Paddle will be a logistical breeze for participants," says Brian Grahn, owner of Hudson River Expeditions. "They just have to get to where we put in with a sleeping bag, clothes, and personal items. We take care of the rest." The length of the trip has also been shortened to encourage increased participation. This year's paddle runs from August 1-5, beginning in Albany and paddling down to Poughkeepsie—a five-day, 75-mile journey. Along the way, the armada of kayakers will stop in Coeymans, Athens, Saugerties, and Kingston. In the afternoon and evening, there will be ample time allotted to explore these beautiful and historic towns and relax along the waterfront with local community members and fellow paddlers. "We feel this is more than just a kayak trip," says Grahn. 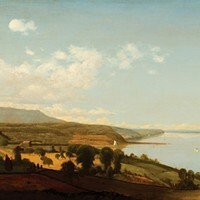 "It is a chance for people to explore the great communities found along the Hudson River. Registration for The Great Hudson River paddle costs $1,999 per participant and includes a tent, catered meals, kayak, paddle, and personal flotation device. Registration closes on July 15 and is limited to 30 kayakers.